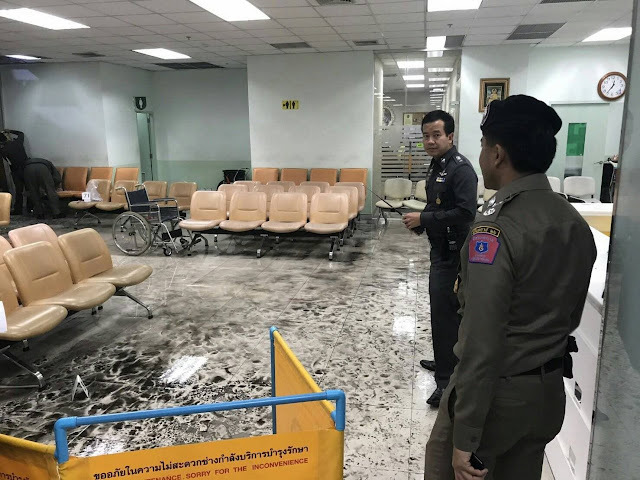 A bomb was detonated at Phramongkutlao Hospital – a military medical facility in the heart of Thailand’s capital Bangkok – injuring at least 20. The attack was carried out on the third anniversary of a military coup that ousted the regime of Yingluck Shinawatra who openly ran the country as a proxy for her convicted criminal brother, fugitive, and former prime minister, Thaksin Shinawatra. The attack targeted a waiting area where retired military personnel and their families were waiting for medication. 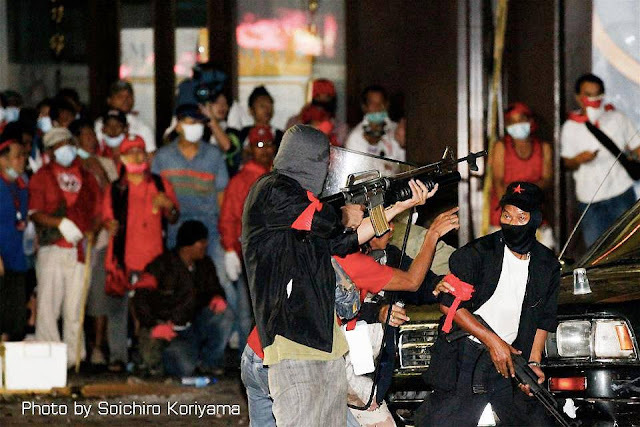 The bombing is not the first violent act committed by Shinawatra and his supporters. His time in power, beginning in 2001, has been dominated by coercion, intimidation, mass murder, and terrorism. Despite a 2003 “war on drugs” that left nearly 3,000 extrajudicially executed in the streets, serial human rights abuses, the muzzling of local media, and repeated use of assassination and terrorism to coerce political opponents, Shinawatra has enjoyed Western support. Thaksin Shinawatra has – for over a decade – represented US-European interests in Thailand and currently enjoys broad political, media, and material support from the West. He still serves as the most promising vector into Thailand for US and European interests versus the current government which has decidedly leaned in favor of regional allies including China, and global allies including Russia. Since his own ousting from power in 2006, Shinawatra has led from abroad, multiple violent attempts to seize back power and topple Thailand’s independent institutions including the constitutional monarchy, the courts, and the military. In 2009 street violence would leave two dead and widespread damage from arson and looting. The following year, Shinawatra would deploy not only mobs, but also heavily armed militants wielding assault rifles, grenade launchers, improvised explosives, rocket-propelled grenades, and hand grenades in violence that would span weeks and leave nearly 100 dead including soldiers, police, and innocent by-standers. 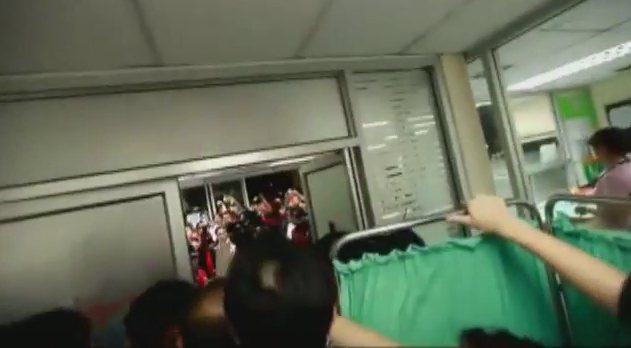 The violence also featured Shinawatra’s supporters storming Chulalongkorn Hospital in downtown Bangkok, prompting the hospital’s evacuation and temporary shuttering until security in the city was restored. Between 2013-2014 protesters attempting to oust Shinawatra’s sister, Yingluck Shinawatra from office faced daily attacks from these militants. Up to 20 would die and many more would be injured. When in May 2014 Shinawatra was finally ousted from office by a military coup, a nationwide sweep would uncover weapon caches staged by Shinawatra’s supporters in preparation for Syrian or Libyan-style violence. 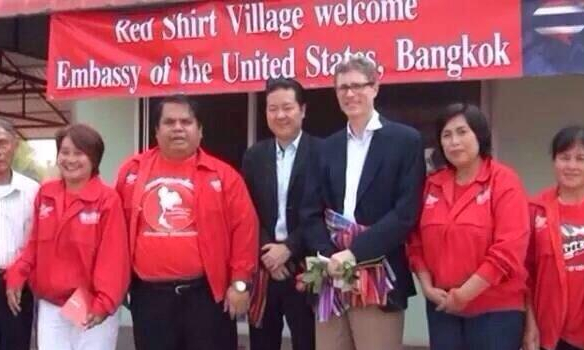 The preparations were coordinated with Western media organizations who attempted to promote a narrative involving a looming “civil war.” In reality, Shinawatra had few actual supporters, and a very limited pool of armed militants. Widespread terrorism was possible – but a civil war was not. Attempts by the Western media to portray the violence – had it unfolded – as a “civil war” would have given the US and Europe the ability to intervene diplomatically and covertly in a more direct manner. Similar tricks have been used everywhere from Ukraine to Libya and even Syria where a lack of local support necessitated the importation of terrorists from across the planet to fuel the conflicts. Ultimately the military coup in 2014 thwarted these plans in Thailand and relative peace and stability have been restored to the nation. Time is on Thailand’s side. With each year, Shinawatra and his political networks grow weaker and the swamps of poverty and ignorance he exploited to regularly win elections are being drained through economic development. Reminding what remains of Shinawatra’s shrinking support base that they are still a force to be reckoned with has been regularly done through small-scale bombings like the one that just rocked a Bangkok hospital. That a hospital has been targeted once again, and on the anniversary of a coup that ousted Shinawatra’s regime from power is of little surprise. Like many other opposition fronts around the world seeking to take power in a nation deemed “undemocratic” by the United States and its European allies, Thailand’s “pro-democracy” opposition consists of a political party – Pheu Thai Party, and a street front used for violent sedition – the United Front for Democracy Against Dictatorship (UDD or “red shirts”). This political party and its accompanying street front are augmented and actively supported by a collection of US State Department-funded fronts posing as student groups, academics, or nongovernmental organizations (NGOs). A partial list of these fronts can be found on the US National Endowment for Democracy’s (NED) webpage. They include Prachatai, Thai Laywers for Human Rights, Thai Netizen, Democracy Cafe, and many others frequently cited by the Western media and presented to the public as independent “human rights” advocates. Thaksin Shinawatra himself has been supported by US and European lobbying firms since 2006. And like many other nations targeted by US-backed regime change, Thailand has witnessed these attempts coupled with terrorism, street violence, assassination attempts, and attempts at sociopolitical sabotage aimed at Thailand’s global standings and economic viability – often done through coordinated media campaigns. Just as the US used a combination of political opposition parties, street fronts, violence, and US-funded NGOs to sow instability in nations like Libya and Syria ahead of full-blown regime change operations and even direct military intervention, the US is probing Thai unity and stability through the use of these tools in Thailand as well. 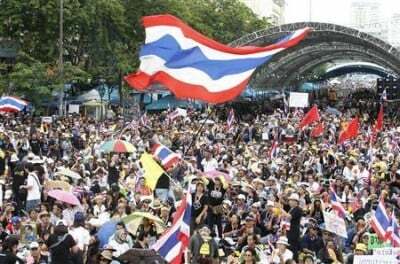 The bombing of a hospital in downtown Bangkok is a reminder of who and what the Thai opposition really represents – and the familiar pattern of instability and violence that stalks nations slated for “regime change” by Wall Street and Washington.